The Montreal Canadiens were disappointed by the team’s second-round playoff exit last season, losing to Tampa Bay in six games. General manager Marc Bergevin did not make too many moves this offseason, but that is partly due to the fact that he was so active at the trade deadline last year. Montreal’s trade deadline acquisition of Jeff Petry was an especially great move for Montreal, as the team didn’t have to part with any assets and because Petry fit in immediately; Petry went on to sign a five-year extension with Montreal with an average annual value of $5.5 million. 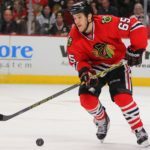 The acquisitions of Torrey Mitchell and Brian Flynn also proved to be intelligent deadline moves as both players solidified Montreal’s fourth line in the playoffs; both of those players signed extensions this summer as well. The two main offseason additions to the Montreal roster are free agent wingers Alexander Semin and Tomas Fleischmann. Both moves are low-risk/high-reward moves, as Semin signed a one-year deal for $1.1 million and Fleischmann signed for one year at $750,000. Both wingers are veterans with a scoring touch who are motivated to prove themselves to the hockey world once again. Bergevin has been able to maintain the core of the team by re-signing players to reasonable deals while simultaneously leaving the team with cap flexibility should Montreal need to make mid-season adjustments. The actual signing of Alexander Semin is not an overly significant move. Carolina bought out the remaining three years and $21 million of Semin’s contract after the Russian forward’s career-worst season. Semin’s meager numbers of 6 goals and 13 assists for 19 points in 57 games don’t even truly represent just how poorly Semin played last season. The knock on Semin over the years has been his inconsistent effort, which is why the Capitals eventually allowed Semin to hit free agency after many solid seasons in Washington. The good news for Montreal is that the last time Semin was in a contract year he played at a point-per-game pace, scoring 13 goals and 31 assists for 44 points in 44 games during the lockout-shortened 2012-2013 season. It was after that performance that Carolina signed Semin to a five-year extension. Semin is coming off the worst season of his career and is, one would imagine, eager to earn himself another long-term NHL contract. Teams may hesitate to do so no matter how Semin performs this season, but the motivation is certainly there. It has never been a question of talent or ability with Semin. 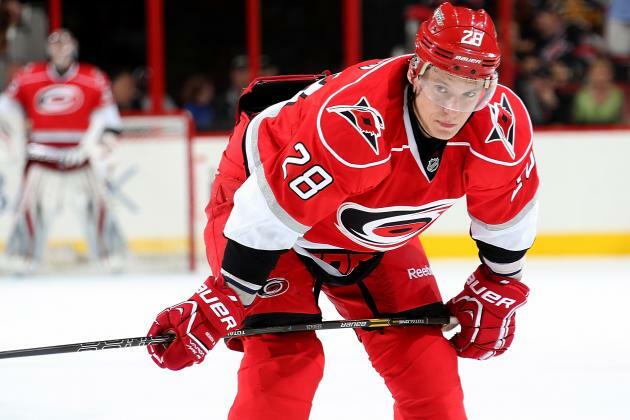 In 10 NHL seasons Semin has 238 goals and 275 assists for 513 points in 636 games. If you take last season’s numbers out of the equation, Semin has 232 goals and 262 assists for a total of 494 points in 579 games. Semin also has 15 goals and 19 assists for a total of 34 points in 51 career playoff games, all with the Capitals. Even though those numbers are nothing to scoff at, Semin’s effort was often lackluster, and his playoff production was not comparable to his regular-season contributions. His playoff points-per-game average is 0.667 points per game, whereas his regular-season rate is 0.85 points per game (not including last season’s numbers). However, even if last year’s 19 points in 57 games are included, his career regular-season points-per-game average is still 0.81 points per game. The real problem, however, has been his compete level, which is something that shouldn’t be too much of an issue this season with Montreal. Even though signing Semin is a solid low-risk/high-reward move for Montreal, the team must be cautious next season before extending Semin considering the patterns he has fallen into in the past. The Canadiens re-signed Alex Galchenyuk to a two-year extension this summer with an annual average value of $2.8 million. This is an excellent move for Montreal. Though Galchenyuk will require a major pay raise in two years, this contract allows Galchenyuk to fully develop into the playmaking star Montreal believes he can be while also allowing general manager Marc Bergevin to build a solid team around him in the mean time. This is a perfect example of the advantages of a bridge deal. Galchenyuk is not quite ready for a massive extension, yet he is important enough to the team and valuable enough as a star-in-the-making to warrant an extension in the $2-4 million range. 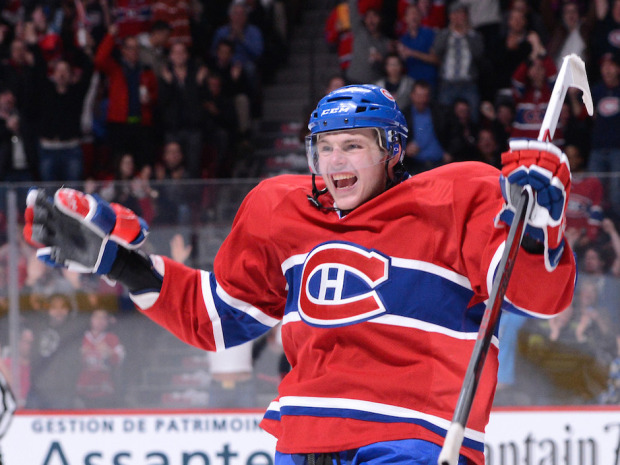 Originally drafted third overall in the 2012 draft, Galchenyuk is still only 21 years old and has shown flashes of the dominant player he is expected to become. 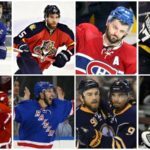 In three seasons with Montreal, Galchenyuk has accumulated 43 goals and 62 assists for a total of 105 points in 194 games. He has 10 points in 22 career playoff games (4 goals, 6 assists). Though this isn’t necessarily an organizational “move,” per se, the Canadiens allowed the players to choose the team’s next captain. 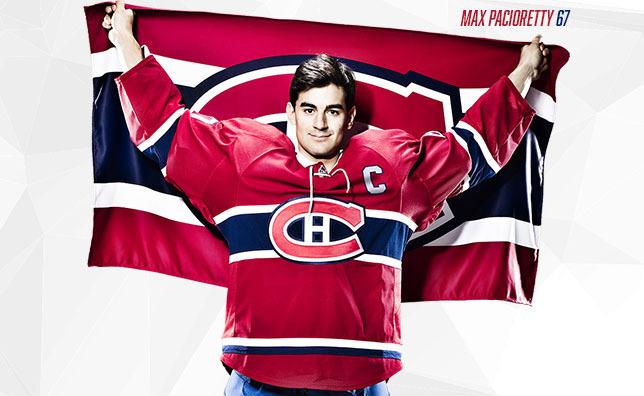 After the players voted, it was announced that 26-year-old winger Max Pacioretty would be the 29th captain in Montreal franchise history. This is an excellent and refreshing method of choosing a captain. Though the process would not work in many situations and for many other teams, it makes sense for this Montreal team at this time. Pacioretty has 146 goals and 136 assists for a total of 282 points in 400 career games spanning seven seasons with the Candiens. In 32 career playoff games, Pacioretty has 10 goals and 8 assists. Pacioretty had the best season of his career last year, scoring 37 goals and 30 assists for 67 points in 80 games. The most notable change to the top 12 is that Alex Galchenyuk has been moved to the center position, which was a deliberate decision made by the organization heading into training camp this summer. It was going to be either David Desharnais or Lars Eller who would move to left wing to play alongside Galchenyuk; Montreal decided to keep Desharnais in the middle on the third line with newly-signed Tomas Fleischmann, allowing Eller to skate with Galchenyuk as the second-line left wing. Zack Kassian, acquired in a trade from Vancouver, is suspended and out of the lineup due to injuries sustained in a car accident; he is currently in the NHL/NHLPA Substance Abuse and Behavioral Health Program. Last year’s backup goalie Dustin Tokarsi has, at least for now, been replaced by Mike Condon. Condon’s 6’2″ frame provides a little more coverage than the 5’11” Tokarski, and Tokarski was average at best last year in 17 regular-season backup appearances; to be fair, 14 of those starts were on the road. However, Condon has the job for now. The Montreal Canadiens will most likely make the playoffs this year, but that doesn’t necessarily make them one of the best teams in the East. Carey Price stood on his head last year to help the team reach the playoffs, but it’s hard to know if he can truly repeat such an effort. 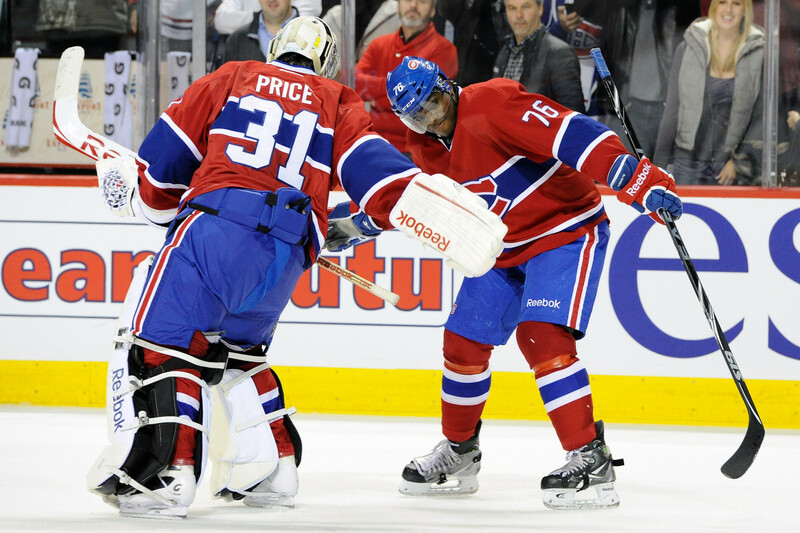 He looked great in the Habs’ season opener, so it’s certainly possible that Price is going to will the Canadiens into the playoffs. The team made several minor offseason moves, but the core of the team is still in place. 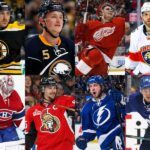 Even though Montreal will most likely make the playoffs, it’s difficult to imagine that the team will make a deep run and be a true Stanley Cup contender. Say what you will about Price during the regular season, but he has not shown it in the playoffs and has not done nearly enough in the playoffs to truly warrant the pedestal he has been given. There seems to be a league-wide consensus that Montreal on its own is not nearly good enough to be a legitimate threat without Price, and since Price has not been “Price” in the playoffs, the Canadiens’ potential this season is limited.